The word ‘world’ there is the greek word ‘cosmos’. It literally means the arrangement of things, the placement and or order of a system. It is not that God loved the earth so much, it’s because God so loved His order. One of the things I teach often is that the Kingdom of God operates within four dynamics: Order, Rank, Protocol, and Power. There can not be effective POWER without protocol. Protocol, simply put, is Honor. There is not power without honor. Where there is no honor, there is only highjacked power. So what is HONOR? Honor is the RECOGNITION and proper RESPONSE to rank. Rank is one’s jurisdiction, authority and assignment. Honor is acknowledging that ‘rank’ and responding accordingly. This is the only way ORDER is maintained. Where there is a lack of HONOR, there will not be sustained order. When order is not maintained it mutates into disorder. Disorder breeds disunity, division, and glory-less (place of no inheritance, deal with that in just a moment) environments. WE MUST HAVE HONOR. I grew up and started doing Martial Arts at a very young age. I was engulfed in the Asian culture, became a Buddhist (I am delivered now, calm down). I did Martial Arts for over 17 years, was a vegetarian (NEVER AGAIN), lived surrounded by the Asian culture, even spoke both Mandarin and Cantonese. In the Asian culture Honor is such a priority that everything revolves around it. I remember when I was doing Martial Arts, even if we were mad at someone, and was going to fight, we would bow to show respect. We wouldn’t speak in the presence of a master because of the expectation that he might say something that will change my life. Our society so enforces our personal destiny and responsibility that we have bred a culture of dishonor. We have a generation so consumed with “me, myself, and I” that we are willing to walk over any and everything to “get what’s ours”, even if it means disrespecting our mothers and fathers. We all know the commandment God gave to Moses..
Exodus 20:12– Honour thy father and thy mother: that thy days may be long upon the land which the LORD thy God giveth thee. Now what is interesting is that the word ‘honour’ there is the same Hebrew word for glory, ‘kabod’. The word ‘kabod’ literally means heaviness, weight, importance, or essence. It would be useful here to say it is interesting the revelation that is brought out if you replaced the word ‘glory’ for ‘honor’ in scripture. Let’s try it. Matthew 5:16– Let your light so shine before men, that they may see your good works, and glorify your Father which is in heaven. Let your light so shine before men, that they may see your good works, and HONOR your Father which is in heaven. Now the passage gives us illumination. That we when do good work, we HONOR our Father. What does this mean? We represent our Father in a good way. Because when you HONOR someone you are constantly concerned with how you are making them look. You can not detach the importance of reputation from honor. Honor is all about reputation. We see the reputation of many leaders in the Body of Christ being slung and rung threw the mud, and many leaders are happy. Many leaders are elated to see another Christian leader fall and fumble through sin and humiliation. This is dishonor. We must understand if one minister of the gospel falls, we all fall. It is not a time to rejoice, it’s a time to pray and restore. Let’s look at one more scripture. 1 Cor. 6:20– For ye are bought with a price: therefore glorify God in your body, and in your spirit, which are God’s. For ye are bought with a price: therefore HONOR God in your body, and in your spirit, which are God’s. Well what is the promise of honor. It is found in Exodus 20:12, it’s LONGEVITY. Could the reason we see fast, very successful, shooting start type ministries fall overnight? Could dishonor be the reason we embrace faddish, celebrity like Christian leaders who are only here for a moment, and then gone the next? Now you say, “Pastor, I know all of this”, well how does this translate to the issue of Fathers and Sons. How can you have 18 spiritual mothers and 33 spiritual fathers? Now let’s qualify this very quickly. A Spiritual Father is one that you have submitted your life, ministry and assignment to for the purpose of maturity, oversight and accountability. This is usually your pastor. Now people have multiple spiritual fathers and mothers in the same city, state, sometimes even in the same CHURCH!!! The term ‘Spiritual Father’ has become a title we tag on any and everything now, and because of it’s frequent use without proper understanding and reverence.. IT MEANS NOTHING NOW! What happens when Fathers become furniture. When we look at Elijah and Elisha.. Elisha submitted his entire life to Elijah. When it came time for Elijah to depart, he tried to spare Elisha the pain of departure, but Elisha, his son, said wherever you go, I am with you. Let’s look at another example. Jesus was speaking in John 6. And then He makes a statement of extreme profundity. He says in verse 53, “if you don’t eat my flesh, and drink my blood, you have no life”. WAIT A SECOND!!! Jesus are you saying that I have to be full of you.? You have to be my desire? The Bible says that many walked away from Jesus. 66 From that time many of his disciples went back , and walked no more with him. 67 Then said Jesus unto the twelve , Will ye also go away? 68 Then Simon Peter answered him, Lord, to whom shall we go? thou hast the words of eternal life. 69 And we believe and are sure that thou art that Christ, the Son of the living God. What an amazing exchange. Honor kept the disciples from leaving Jesus at a time where it seemed impossible to follow. We must have honor. We need sons and daughters that understand the importance of being FULL of their ASSIGNMENT to their Mothers and Fathers of the Faith. If you call yourself a son or a daughter, understand that it’s not a weekend thing. It’s a LIFETIME thing. I want to give you some practical applications for developing a life of honor and a deeper understanding and intimacy in your assignment to be a son or daughter. You must learn to honor your leader’s PERSON, PERSONALITY, and PRESENCE. PERSON– There are natural and spiritual needs that your Mother and or Father in the Faith have. Make it your business to pray for them, fast for them, but sometimes the greatest thing to do is just ask “do you need anything?” You must be dedicated to the well being of their person. This deals with protection, covering, and accountability. I remember when I was serving my first pastor, I wouldn’t eat unless he had ate. I couldn’t see myself being an armor bearer, him working hard for me, and I am sitting on the sidelines eating. I couldn’t imagine driving a better car, he could have the car. I wouldn’t want anyone to see my man or woman of God without the very best. I am just telling you my line of thought. We must be committed to taking care of the well being of our leaders. They sacrifice so much for us. PERSONALITY– Every leader has a different personality. I love the honor displayed by David. Even though Saul hated him, and even tried to kill him, David never dishonored Saul. He never spoke against him, was involved in gossip, and would never dare throw a javelin back at Saul. When given the opportunity, David was there to help and cure Saul of his ailment, never bringing shame to his king. WATCH THIS!!!! David never tried to change Saul. It is not the job of the Son to change the Father.. but the job of the Father is to change the Son. The Father and the Son are NOT equal. Now understand I am not dealing with the trinity or the Godhead. I am speaking of our relationships. American culture has killed dishonor by making one generation neglect the achievements and sacrifices of another generation with the statement “that was then, this is now”. That becomes the catalyst for “you don’t understand me” which breeds a disregard for counsel and wisdom. If you are going to submit to someone understand that you must submit to their personality, no matter how CRAZY they are. Honor their personality, even if it rubs you the wrong way.. ask David, God is working someone out on your behalf. PRESENCE– Honor always produces credibility and acknowledgement. This is something we understand from a church perspective. We ‘honor’ the presence of the Lord. In the same way we should honor those that we have dedicated and submitted to. Our natural and spiritual leaders. We are the only generation that sit at the table with Generals and try to teach them something. When we are in worship, and the presence of God comes in, do we stop and try to teach the presence of the Lord. Of course not! We quiet ourselves and let God have His way. We must learn to honor our leaders, give them first place, preference and priority. Let us not allow our Fathers to become furniture. Let us see a resurgence of honor enter our home, our churches and our communities. Let us commit ourselves to being bold and courageous when it comes to honoring our leaders’ person, personality and presence. Be intentional about showing honor to those you are submitted to. God requires this of us. 1 Tim. 5:17– Let the elders that rule well be counted worthy of double honour, especially they who labour in the word and doctrine. Dedicated to young pastors, revivalist, and church planters.. THIS IS FOR YOU!!! This morning was a weird morning. I woke up fully aware of my purpose, potential and power. It was like a dream.. I could see standing around me a great crowd of supporters cheering and yelling “you can make it, we are depending on you”.. Like a flash, an epiphany, I understood more clearer than ever before that I was not alone. Encompassed by great men and women of God that went before me, I suddenly felt their hopes, their dreams and their assignments. “I’ve got to finish” is what I declared to myself. I wanted to write a short blog on the Power of Generations. How anointings are never destroyed, nor do they ever leave the Earth.. they are here for us. Like a marathon runner passing the baton, fathers pass mantles and anointings so that their works will be accomplished. Our Generation, plagued with dishonor and arrogance, seldom finds the strength of the ancient. We pride ourselves on being revolutionary and innovative, which we must be, but not to the detriment of those who went before us. We are constantly looking forward so much that we often miss out on the power of our past. Dedicated vessels carved a way for us.. they overcame obstacles, they broke barriers so that acceleration would be our portion. Their dreams live on, their assignments live on, their anointings live on, and THAT is what we feel. You can not be great without a burden. Burdens are weights of responsibility, placed on gifts to guide and direct them. Burdens keep you up at night dreaming when everyone else is asleep. Burdens wake you up before the Sun and causes you to see what others can not see. Burdens commit you to thousands of hours of preparation, it will have you turn down opportunities, pass up platforms.. it will have you in a wilderness eating honey and locust.. IT IS A BURDEN! Our assignments are not disconnected from our predecessors. We stand on the shoulders of giants and build upon their foundations. In 1 Corinthians, chapter 3, Paul addresses the issue of competition. He speaks about his relationship with Apollos’ ministry. WE ARE NOT ALONE. We do not enter undeveloped fields.. but we do some times enter underdeveloped fields. You may not sense it or see it, but before you started your work, it was primed for you. Paul understood his assignment in the economy of God.. TO PLANT. Apollos’ job was to water. At some point, some little church planter, some little boy or girl who believes that anything is possible is going to enter that place of plowing and see increase. That is the expectation you feel. That is the source of those tears of joy as we see our ministries grow and our anointing impact the lives of people. Our joy is knowing that someone prayed for this, someone fought and died for this. This is why Paul says neither the planter or waterer is anything at all. They are soon forgotten, and so is their work and contribution. But they live on through us. Through our honor and hard work. Paul said that those that plant and those that water are ONE. We are not separate, we work together, we grow together, we do great things together. John 4:38 I sent you to reap that whereon ye bestowed no labour : other men laboured , and ye are entered into their labours. The apostles leave Jesus and go into the city to find something to eat. When they return they catch the end of a conversation Jesus is having with a Samaritan woman. They offer him food, and Jesus answers them by saying “I have meat you know not of.. my meat is to do the will of him who sent me, and to FINISH his work”. WOW. Destiny is the diet of the pioneer. We don’t get our energy from statistics or church planting books. We don’t get our strategies solely from growth conferences or church networks.. there is something pushing us. It is ancient power. Our meat is to do the will of him who sent us. WE EAT DESTINY FOR BREAKFAST! John 4: 35 Say not ye, There are yet four months, and then cometh harvest? behold , I say unto you, Lift up your eyes, and look on the fields; for they are white already to harvest. 36 And he that reapeth receiveth wages, and gathereth fruit unto life eternal: that both he that soweth and he that reapeth may rejoice together. Acceleration is our portion. Don’t declare delay, expect SPEED! Jesus said “SAY NOT”, this is a command. We must train our mouth not to speak deceleration. Don’t dare say that there are four month, then harvest.. Jesus says “LIFT UP YOUR EYES”! If you could dare to believe and lean upon the work of our fathers we could see a tremendous harvest. Fields represent the place of plowing. It is the place of our labor and work. Adam, at the beginning, had a garden not a field. After Adam falls, he is no longer privileged to leave without hard work and toil.. his garden turned into a field (Gen. 3:19). Jesus said “he that reaps receives wages, and gathers eternal fruit… both he that sows and reaps rejoice together”. This moves me to tears, knowing that the victory is not mine alone. The success is not mine alone. The growth is not mine alone. It belongs to everyone that has ever given, ever prayed, ever attended, ever gave me words of wisdom or advice along the way. THIS REVIVAL IS OURS. Hebrews 12:1 Wherefore seeing we also are compassed about with so great a cloud of witnesses.. There are great men and women who have went on.. A. A. Allen, Wigglesworth, Wesley, Lake, Dowie, Grant, Woodworth-Etter, Dunn, Branham, and so many others that are cheering for us. They are behind us rooting for our success. Every time we fall they are saying “get up, you are better than this.. you can do it, you are almost there”. DO YOU HEAR THEM? DO YOU FEEL THEM? We have entered into their “labors”. The word that Jesus uses there literally has the connotation of someone beating their chest in sorrow and grief. It denotes hard work, dedication, commitment and pain. We are backed by ancient power. WE ARE NOT ALONE. There is something sacred and supernatural about what you are doing. Keep it up, you are about to see INCREASE. 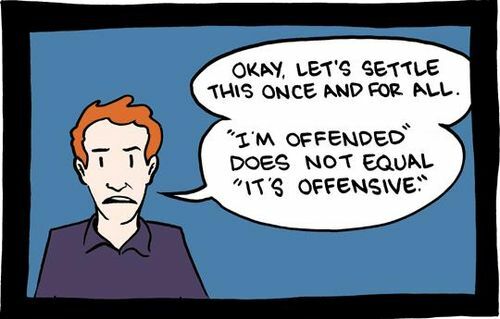 Have you ever been offended? We all have to some degree. Have you ever been hurt by a church? Maybe you are reading this, and even at this moment you are mad or upset with a church and their treatment towards you. Maybe you feel as if you should have been given a chance to minister or serve. Maybe an usher or leader said something very nasty to you. Maybe you were overlooked or used in some degree. If you have been in the church for more than a day, I am sure you have been offended. Offense is present wherever there is people. As the Lead Pastor of a growing church in the city of Atlanta, I have spoken with many people on the subject of offense. Offense seems to be everywhere. People leave churches because of offense, people leave marriages, burn bridges and tarnish people’s reputation and names because of offense. After speaking with pastors and parishioners who have been hurt and healed of offense, I began to ask a lot of questions. What makes someone leave a ministry, while others draw closer? Why is it that offense hurts some, and empowers others? What is it that causes breaches in relationships? I came to understand that dealing with offense is a perspective issue. Now what is offense? Offense is something that offends or displeases someone. It is a violation or the breaking of a law. To “take offense” means to feel humiliated, injured, or annoyed. Wherever there is people, there will be offense. This is why it agitates me when I hear people say that they left a church, or “the church” because of offense. As many times as you have been at a job where people offended you, you never left. As many times as family has offended you, you still went to the cook out and the reunions. As many times as you could have been offended at a restaurant or a theater, that doesn’t make us stop eating or watching movies. The reality of it is, people will find anything to become a catalyst for offense. Offense breeds defensive people. Defensive people are people who feel it is necessary to always be one step ahead of you relationally. These are people who, if they think you are going to break up with them, they will break up with you first just to avoid embarrassment. Defensive people are usually chronic pathological liars and vivid imaginators. They dwell in suspicion and have a false sense of persecution. They think everyone is after them. You may be reading this and saying “hey, that’s me” or “wait, I know someone like that,” well in this blog I seek to reveal the dangers and the blessings of being offended. Sustained unity is one of the keys to growth in any organization. A healthy atmosphere and culture is needed for anything to be successful and impacting. One of the main deterrents to a healthy culture is offense. 12 For it was not an enemy that reproached me; then I could have borne it: neither was it he that hated me that did magnify himself against me; then I would have hid myself from him: 13 But it was thou, a man mine equal, my guide, and mine acquaintance . 14 We took sweet counsel together, and walked unto the house of God in company. It wasn’t a stranger that offended David, it was someone that he was close to. Offense only happens within the confines of covenant. And the scripture says that “a brother offended is harder to win than a strong city.” A strong city or stronghold is designed to keep people out and hold things in. It is characterized by its defenses. It gains strength by division. Offense will always cause division. People who are offended separate themselves and become reclusive. Another result of offense is the spirt of murder. The spirit of murder, hate and infirmity follows those who are consistently offended. Matthew 24:10 And then shall many be offended , and shall betray one another, and shall hate one another. Do you see the process. Offense breeds betrayal, betrayal breeds hate, hate is the foundation for murder. When we look at the story of Cain and Abel (Gen. 4:1-14), we see this process clearly. Cain became offended with his brother because Abel received respect from God, and he didn’t. Cain also was offended with God. I want to point out here that neither God nor Abel did anything wrong, but offense was still present. Offense is not always the result of wrongdoing, but is most times the result of misunderstanding. Offense not only caused Cain to kill his brother, but caused Cain to run from the presence of the Lord. It also says that he became a vagabond, which is a wondering man without any place to dwell. An inability to worship, serve, submit and be planted in a local church are all signs of offense. We must understand the responsibility of the “offended” and not just the “offender” to restore order and unity. I have heard people say that you shouldn’t offend people, and I believe that this is true. Deliberate offense should never be the goal of anyone in power, but it is also true that offense is inevitable. You can not walk on egg shells trying not to offend someone. Now this is the blessing of offense. The entire reason I wrote this blog is to get to this point. I believe offense can be a blessing. I heard it said that what offends you, reveals you. The scripture calls Jesus a “rock of offense”. Jesus comes to offend. The gospel comes to offend. It comes to offend everything that is not like Jesus. When you are offended, it reveals the weaknesses you have in your flesh. This is a good thing, a constructive thing. You should rejoice when you are offended, for God is showing you that you can and must become better. Do not allow offense to become a wedge between you and your destiny. Do not allow offense to separate you from the people your purpose is attached to. Offense can be used as a catalyst for personal development and growth. I want to encourage you that offense does not have to be a bad thing. It can be the very thing God uses to grow you. Do not allow the spirit of offense to cause you to become nomadic. Relationships between people are never perfect, it takes hard work, dedication and consistency to yield the maturity we need to support each other. My prayer is that if you are offended in any area, or with anyone, that you would seek restoration and renewal. Suicide is a sensitive subject. And whether we admit it or not, the best of us have been confronted with suicidal thoughts. This subject is extremely important and dear to me because I am a suicide survivor. This is not something that I speak about often, but something that occurred recently prompted me to speak on this. As pastors we all have good days and not so good days. We all have times where we are pleasantly surprised and there are times where we are violently reminded of our humanity. My family has a history of depression and bipolar disorder. One thing that I have learned about generational curses, weakness and familiar spirits is that they are very patient. They will wait 30 years for you to be weak enough for them to take advantage of your vulnerability. They will wait you out until the perfect moment. At my lowest point, in a place where it seemed as if I was in over my head with responsibility and need, the enemy spoke so clearly to me. He said “I can fix that, give me your soul.” I have been close to dying several times, but I have never felt death this close. These words were in my soul, and they were dark, cold.. evil. I immediately rebuked the voice. But heaviness seemed to gain a grudge against me. That night was the hardest night of my life. And for the first time since I was a kid.. I actually contemplated suicide. I am not the only leader or pastor that has had suicidal thoughts run through my mind. There are those reading this, that would hate to admit it, but you have suicidal thoughts frequently. There are those reading this that have kids, relatives and friends that also have these thoughts. Are they normal? How do you deal with them? Does suicidal thoughts mean you are possessed or demonized? These are questions that fill our minds. I want to be clear and state that I will not deal with the question, “do victims of suicide go to Heaven or Hell?” I believe personally that it is complex. If someone is overcome with a devil, they are a victim, and I believe the Lord shows compassion, and so should we. There are many people in the Bible that have suffered with suicidal thoughts and have even become victims of suicide. Elijah is interesting to me because as anointed as he was, he wanted to die. There are times where we all feel like giving up, throwing in the towel and leaving our assignment prematurely. I want to offer a few guidelines on dealing with the spirit of suicide. I want to be clear that suicide is a spirit. It is an influencing agent that troubles the mind with depression, paranoia and deception to the point of self destruction. 1. Master the art of filtering your thoughts– We must understand that the mind is an open battlefield, but you must treat it as private property. The enemy trespasses by giving thoughts that are against the will and purpose of God. Every thought that comes to your mind is not yours. It is our duty and responsibility to CAST DOWN (warfare) every imagination. The imagination is a realm in the soul which is responsible for our creative power. It is the platform for dreams, vision and special thoughts (another message). Imaginations are literally images from another nation. They can come from the Kingdom of God, the Kingdom of Darkness or from our own will. We must filter these thoughts, ideas and concepts through the word of God. How does this happen? We must have a regular intake of the word of God. Psalm 119:130– The entrance of thy word giveth light.. The more word you have in you, the more light there is to reveal. When the light of the word resides in you, the enemy can not slip anything past customs. Every thought is clearly seen and visible. Psalm 19:7– The law of the LORD is perfect, converting the soul.. The Word of God squeezes the soul into the image and likeness of God. Over time the word of God converts the soulish realm of man, making subject the will, the mind and the emotions. The word of God is central to protecting our mind against ungodly thoughts and emotions. 2. Make it a Habit to submit your thoughts– This is very hard to do. We are accountable with our actions, finances, and ministries, but seldom are we accountable with our thoughts. One of the reasons why we allow our mind to get away with so many things is because we have bought into the idea that just because we think it, doesn’t mean we are guilty. Jesus taught the exact opposite. Matthew 5:28 KJV– But I say unto you, That whosoever looketh on a woman to lust after her hath committed adultery with her already in his heart. The mind is so powerful that to think a thing is the same as doing it, because the potential.. the seed it there. When you have a constant influx of demonic thoughts, submit them to your coverings, ministry fathers, and pillars of support for the purpose of accountability. 3. Develop a Prayer Life that is Autonomous– This can be hard, but with practice and consistency, it is the most powerful tool I have found to combat depression and suicidal thoughts. Prayer is a pillar of our faith. Sadly it is scarcely practiced, and elementary at best. Prayer is a weapon in the hands of the saint. There is much debate as to what this scripture is referring to. I believe it refers to praying in tongues, but regardless the connotation here is to pray with intensity, focus and accuracy. When we develop a consistent prayer life, one that is not dependent upon our emotions, but driven by a divine routine that has been developed within the womb of intercession. NEVER STOP PRAYING!!! Pray until it becomes subconscious. It becomes like breathing, it becomes powerfully autonomous. 4. Live Life on Purpose– We speak a lot about purpose, and to some degree it has become a mundane subject that we overlook. Some have even criticized people for teaching and preaching on the subject of purpose. I believe that the gospel can not be preached in its totality without including the purpose of people. We must teach people that everyone is here for a reason, and that no one is insignificant. We were predestinated.. in other words our destination or destiny was predetermined according to God’s purpose. Without understanding this our life loses vitality, meaning and direction. We must offer this to the world that is void of identity and authenticity. We must offer this to a world that is paranoid with suicide and death. You can overcome suicide. You do not have to become a victim of self destruction. Your life is worth living. I know, like you, that I am here for a reason. My life has purpose and destiny, and so does yours. Dealing with the spirit of suicide insures that generations down the line will benefit from our ministries, anointings, giftings and legacy. Psalm 118:17 KJV– I shall not die , but live , and declare the works of the LORD. The Anointing is an interesting subject. The anointing in and of itself is a topic that we could spend years on and never exhaust, it’s that vast. The anointing is a mystery in the since that the totality of it scope is still misunderstood today. The anointing is a chemical compound. We all have a personality. There are as many personalities in the world as there are people. The anointing also has a personality, it is Jesus. Jesus is not just anointed, HE IS THE ANOINTING. When the anointing rest upon your life, it mixes with your personality and creates something unique and specific. This is why seeing carbon copies in the Body of Christ is disturbing and dangerous. God never creates a copy. When the anointing sits on you, a chemical reaction happens, and you become something different. Anointings take on the personality of the people they are placed on. We then use names to characterize an anointing based on who the actions and dominant traits of that anointing reveal.. for example, we will say the Anointing of David, or Abraham.. the Anointing of Rebekah or Barak. When we see someone whose gifts and behavior aligns with a particular pattern, we say “They are walking is the Anointing of (fill in the blank)”. We characterized anointings (MANTLES) by the individuals who carries them..
As a person grows and their personality and patterns become more defined, they leave the shadow of that person and begin to develop something that is their own and unique. I have learned that there is no way to have an anointing without first learning to steward someone else’s anointing. Stewarding what the Lord has placed on your life is a very important thing. How you steward any thing will determine it’s health, longevity and effectiveness. I want to deal with stewarding the anointing using an economic principle, supply and demand, and something I have learn through ministry and revelation. God deals to all of us a measure.. (Romans 12:3) We have measures in everything, not just faith. We have measures of intelligence, measures of maturity, measures of gift and skill. All measures can be enlarged or increased according to Paul (2 Cor. 10:15). We all receive a measure of oil, but oil is not infinite. Oil must be stewarded properly. Oil can get old, oil can grow stale, and become unusable if it’s not fresh and sustained. The quality of oil is very important. Follow this train of thought. Anointing is the currency of ministry. You spend it every time you preach. You spend it every time you lay hands. Every time the sick is healed, you’ve spent oil. Every time you cast out a demon, you’ve spent oil. This is why the disciples couldn’t cast out a certain devil (Matt. 17:16-21). They didn’t have enough money. They didn’t have enough in the bank. That was an expensive devil. Jesus said in order for you to cast this devil out, you must have a little more in the bank. You must increase your measure by fasting and prayer. That is one of the ways your anointing grows. But your anointing also gains interest when it is not TOUCHED. Holiness increases the rank and measure of your anointing. One of the most expensive ways to spend the anointing is sin. Understand this: every assignment that a minister is given has a value of oil on it. To heal the sick may take 2 gallons of oil. (I am using human examples to make this understandable in the way God gave it to me) So say you begin with one gallon, but you spend 2 quarts fornicating. Now in order for you to get the job done, you have to repent, fast for 10 days and pray for 24 hours, just to generate enough oil to heal that woman from cancer. Sin creates a deficit that must be paid, and although Jesus paid for the world debt on the cross for our salvation, the anointing must be paid by our lives. I have heard it said that the anointing is free.. I disagree wholeheartedly. Any anointed person knows that the anointing cost. You may or may not know when it was paid for, or by who.. but if you are anointed, someone paid the price. They paid a price in prayer, in fasting, in integrity, and even some with their lives. Stewarding this precious cargo is for more than just preaching. The anointing is not just to gather and influence masses, but to make an impact and imprint in the sphere and sector you have been appointed. Your anointing is not for you. We must be diligent to make sure that our anointing stays up to date and relevant, that it stays pure and undefiled, that it remains potent and intentional, that it grows and purchases revival for every city. My name is Bryan Meadows and I love my city. I was born and raised in the city of Atlanta, and have committed myself to seeing revival built here. Since February of 2011 myself and a team of leaders, mostly under the age of 30, have rallied around the belief that REVIVAL is the portion of Atlanta. With great hope, undying passion, and unwavering faith, we have committed our lives to seeing a culture of miracles, a system of signs and a society of wonders be established in Atlanta. I have never seen a group of more passionate leaders that have such a desire for the finger of God to touch every sector, every genre, and every pocket of this region. They inspire me, they encourage me, and they drive me to do what I do, and for that I am thankful. I was prompted to write this blog, by a song written by one of my favorite groups named LIVRE, the song is called “The Only God”. It exalts the Lordship of Christ, and as I listened and worshiped.. the Lord reminded me that He could and would do the impossible. When it comes to city transformation, we must remember that revival can not be contained within the confines of programs and ritual, but it must be loosed as a fire of absolute unhindered passion and hunger for the things of God. In January of 2011, something amazing happened to me. I prayed that the Lord would give me His heart for the city of Atlanta.. suddenly a burden came upon me, and I began to weep for hours. I couldn’t stop weeping, and through intercession, I understood that what was taking place was something very sacred and precious. As I wept I began to realize that the seeds of revival that were planted by generations unknown to me were now being watered with the tears of a new generation that yearned to see what our fathers and mothers have so desperately prayed, cried, and even died for. In every city, great men and women have sown their lives to see their region established as a center for raw revival. Well my plea is for you to weep. Weep until you have no more tears and no more strength. Weep until you cannot stand, until you cannot help but believe that God is coming to your city. Luke 19: 41 And when he was come near , he beheld the city, and wept over it.. When Jesus saw what Jerusalem missed as a result of rejecting him, He wept.. knowing what would come as a result. Our cities desperately need men and women that would weep for them. Our cities are crying out for revival, can you not hear it? We don’t need another service, another religious center, another platform for powerless preachers… we need Noahs that would build REVIVAL in their back yard. We need Abrahams, who regardless of how barren their cities look, will continue to sow. We need Davids who would stop at nothing to bring the presence back to their city. We need Jesus to weep over our city. My plea to you is that you would fall in love with the destiny of your city… fall in love with it’s purpose, with its future… and WEEP FOR YOUR CITY!! !